Well, I knew it was coming. I’ve fought it with everything I have, y’all, but all I want to do is crochet, and I spend most of my reading time neck-deep in faith stuff. It’s just not in my heart to write about books the way I have before. Right now I do not see a return from this hiatus. I might be completely wrong, but this is what’s been percolating for a while. I’ve developed a pattern that every time I’m “off” for two weeks after an academic quarter, I feel refreshed and invigorated and READY TO BLOG. Then when I’m back to work, I just don’t have the brain space or the motivation. My students get a lot of me, and I’m absolutely fine with that. I wouldn’t change it. So something has to be set free. I would dearly love it if you’d follow my faith blog if you’re even remotely interested. And you can always find me on Instagram, Twitter, and my personal Facebook. I miss the book blogging community fiercely, but I just don’t have it in me to blog about books. Can’t we just all be friends and text and hang out? I love you so much. So. Much. Today was 14 years of book blogging, but it’s time for other things. Well done on 14 years! I will keep looking to chat on twitter! I think it’s perfectly normal and expected to outgrow a passion at some point. On to another season, another adventure, or simply whatever makes you happy. Congratulations on 14 years! That’s awesome! No shame in moving on with other things. Live yo life, girl! I get it. I’ll miss you here but will see you around elsewhere. Here’s to a wonderful 14 years! I’m a little sad to hear about the hiatus but I know that I’ll be seeing you on FB and IG and lots of other places! Thank you so much, Chris. I feel like I’ll never be away from the book community as a whole. Maybe I’ll find another way to be bookish on the interwebs. Love you, Les! One of these days we’ll get together! Congratulations on a fabulous 14 years. You’ve done so much for the community. Thank you Kathy. I so appreciate you and our long friendship. So sad to see you step away from here but I think we know you will never stop reading and writing. So true, Deb! I’ll still be sharing my reading elsewhere. As you know, I wouldn’t be “Bookfool” without your encouragement, so I thank you for that and for the many years of blogging, which I’ve enjoyed following. 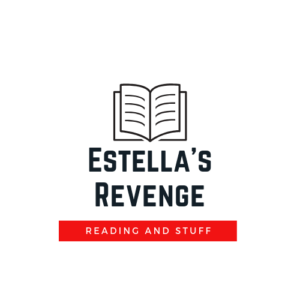 I’ll miss Estella’s Revenge, but you have to go with your heart and I wish you happiness with your crocheting and your other blog. I’m glad I’ll still see plenty of you at FB and IG! Fourteen years is an incredible accomplishment. You should feel so much pride. You will be missed! Thank you, Susie! I’ll still be around on other social platforms, and I always enjoy reading your blog newsletter via email! Sorry to see you go because I feel like I just found you! But 14 years is an amazing run and I’m happy to see that you’re still writing. I added your faith blog to my wordpress reader — I didn’t know you were writing over there and I’m looking forward to catching up! Thank you, Katie! I appreciate you following the faith blog, and I’ll fore sure still be on the other socials talking about books and life and yarn and stuff. You are a good friend! SO TRUE re: obligations. I just can’t have reading and writing about it be one of those obligatory things. Wow, 14 years is a great run and while I’ll miss you here, I’m glad you’re doing what feels right for you. Even if you don’t come back to it, it sounds like your life will be full of other wonderful things. Thank you so much, Katie. It’s bittersweet for sure. I’ll still be sharing my reading on all the other socials, so I’ll see you there! So little time, so many things to do. What ever you spend your time doing has got to be something you enjoy; if that’s not this any more, then time to move on. Thanks so much for all that you have given the book blogging community! Congratulations on 14 years and best wishes to you! I’ve enjoyed reading your blog over the years.